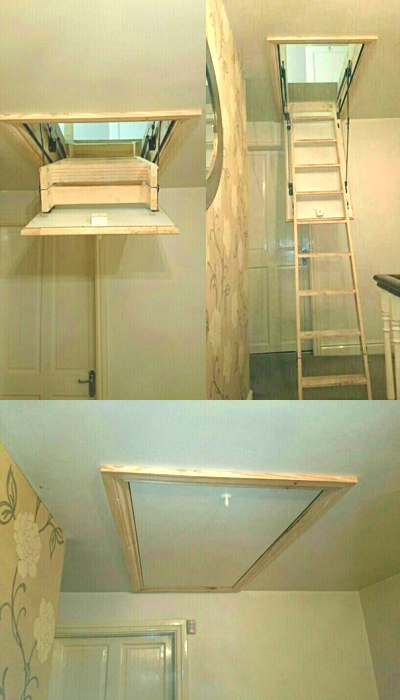 We provide all you need to make your loft a usable space. 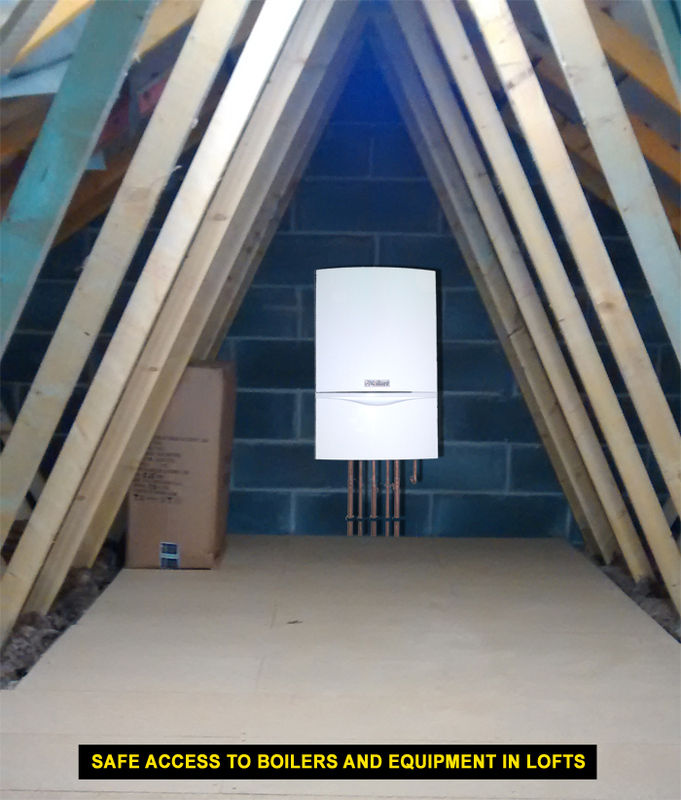 Don't be confused by the term converting your loft for storage and a loft conversion. A loft conversion has a different set of rules that may require planning permission / building consent. If you intend to use your loft as a living area, i.e. bedroom etc. you will require full building consent and a loft conversion company to do this work. What do we do? We provide simple ideas to create a safe strong usable loft storage space so you can store your possessions, use as a hobby area, study ,etc. or for keeping stock or records for your business. There are many uses for loft storage and below is the full range of products and services we offer. 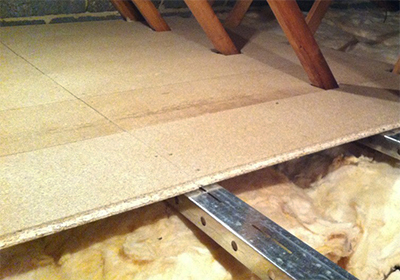 We also provide loft insulation top-up service, safety rails and balustrades and loft safety working platforms for access to service equipment in your loft such as Heating Boilers, Water Tanks, Audio and Visual Systems, Computer Networks and Solar PV units. We can also provide ladders with handrails and spring loaded assistance ladders. 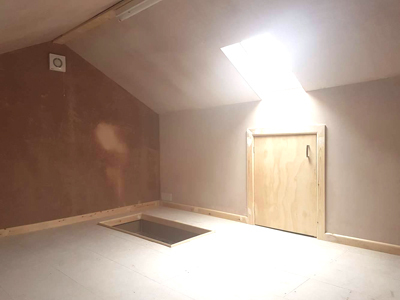 We can enlarge your existing opening, relocated to another room or replace your existing loft hatch to comply with latest requirements and give you better access to your loft. 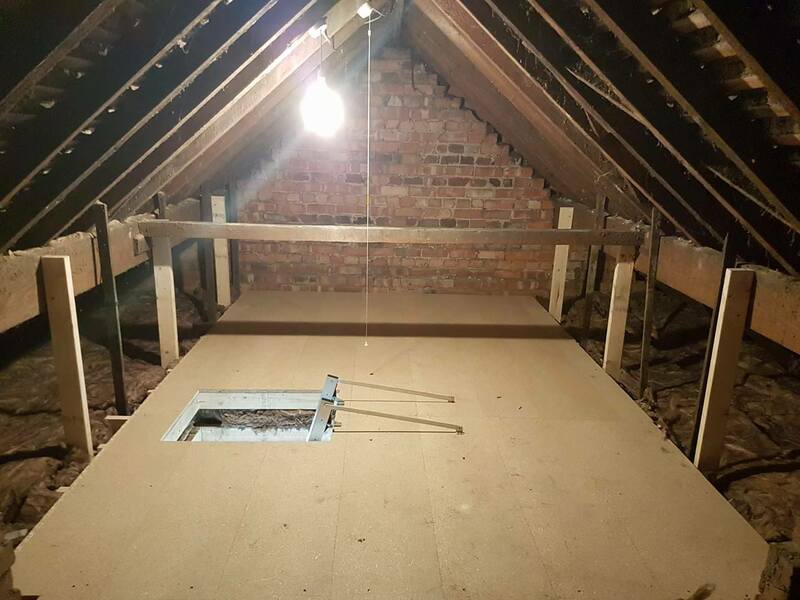 We can supply and install the latest building regulations style loft hatches that are draft sealed and insulated with multi locking points to help seal the hatch properly. 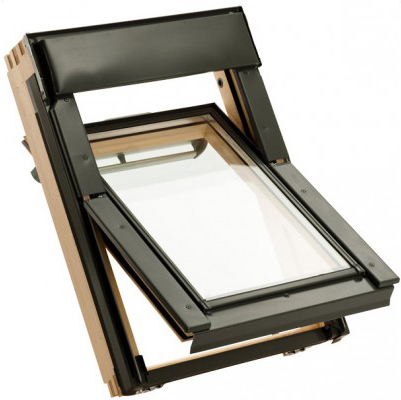 The standard size hatch is 726mm x 566mm this is a perfect size for loft access with a fitted ladder. 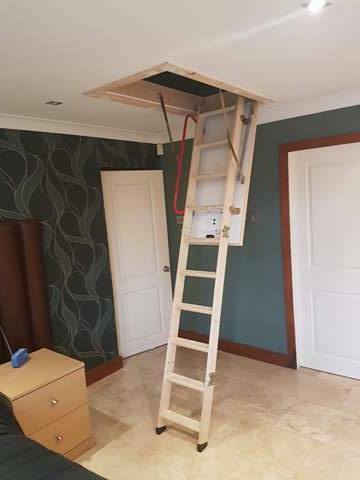 We can also do extra long wood hatches with spring assisted door with an attached wood folding ladder with wide tread steps, idea for those who need a larger access to the loft or simply just to make it easier to get in and out of the loft as a wood ladder feels safer and give more confidence to those who do not like climbing standard metal ladders with rungs. 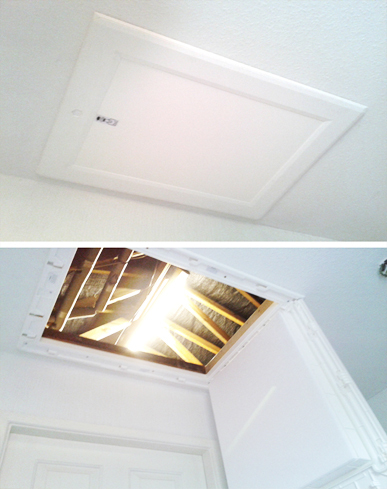 Yes we actually do install remote controlled loft hatches. They are fully automated and start from unlocking the hatch to fully extending out the ladders. A luxury or keeping up with the Joneses? Well for those who use their loft more than most or for those who struggle with their ability to open and close it just makes life a lot easier for anyone to get in and out of the loft. We are the largest approved installers of LoftZone StoreFloor in the North of England. remove or squash the insulation. StoreFloor system will not fit. and boarding installed directly providing we can fasten to at least 4" deep by 2" wide joists. "We're No Ordinary Loft Boarding Company, We Do It Right!" 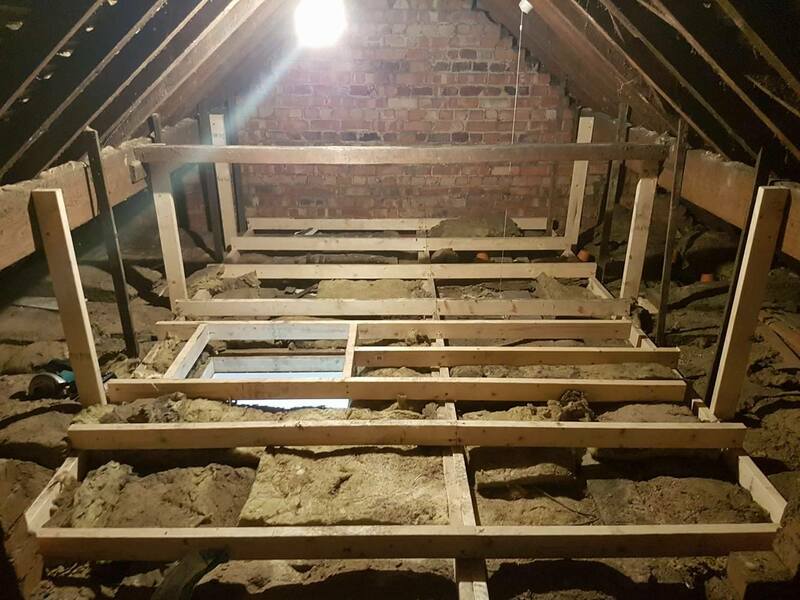 OLDER PROPERTIES In some older properties we will install a suspended strengthened timber sub-frame before any weight can be added to your loft. Fitting timber battens or cross bracing additional wood joists will simply not do, especially if the sub-frame being installed cannot be supported. Installing a sub-frame directly to the existing joists without some additional support will not only cause problems in the future, but will cause the extra load to be directly bearing down on your ceiling joists. This is not safe or good building practice. See the process illustrated stage by stage in the photos above. Stage 1 - Low on insulation. Stage 2 - Top up to government recommended levels. Stage 3 - Install suspended and raised timber sub-frame. Stage 4 - Add the T & G loft paneling. In older houses we will have to install a suspended and support sub-frame using the internal walls and main purling's to hang the frame where it may put pressure on the existing ceiling joists. Its almost like a floating floor, so this will avoid added weight on your existing ceiling which it's not designed to take. 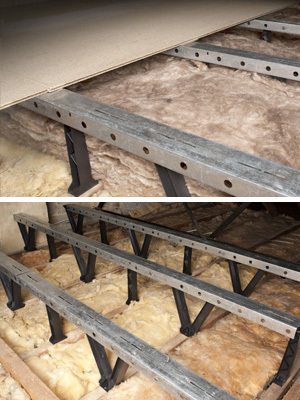 We use 18mm high density particle board loft panels which are designed for both strength and easy of installation. They measure 1220mm x 325mm so they are easy to move around your home without the need for huge full size clumsy boards. They interlock on the length and rest together on a supporting sub-frame so as to make a smooth strong floor to walk on or store on. They are always screwed down so you can remove them if you need to get underneath for service reasons. 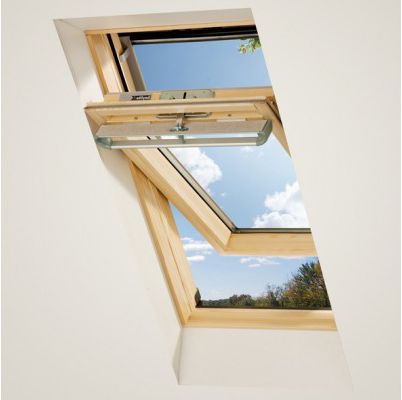 Centre Pivot roof windows (CP) are the most commonly specified and versatile of all Keylite Roof Windows. Centre pivot windows are suitable for single or multiple applications in any roof with a pitch of 15 degrees to 90 degrees. The opening handle is conveniently placed at the top of the window and also controls ventilation, giving the option of fresh air flow even when the window is locked and secure. 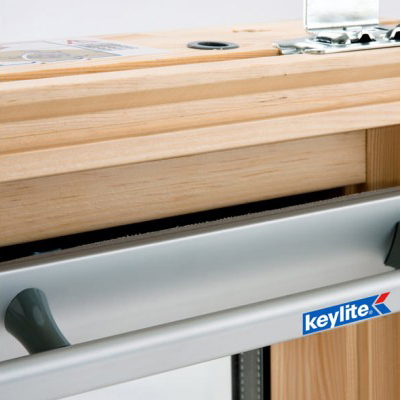 The Keylite range with Futuretherm technology is the results of a 100% focus on innovation. Enhancements throughout our new skylights make installation even easier than before and improve the overall user experience. 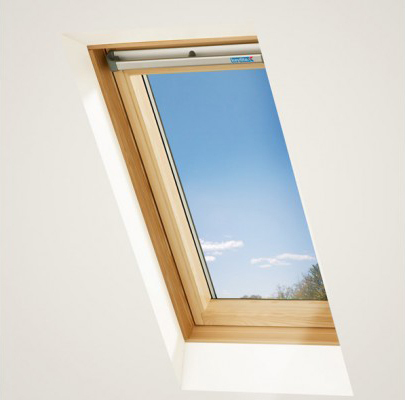 Keylite roof windows are the only roof windows with a built-in device that closes the gap between the roof and the window frame, for better thermal performance. We can install various sizes and finishes to suit your needs, call us on 0800 8799967 for a FREE no obligation survey with a fixed priced quote. 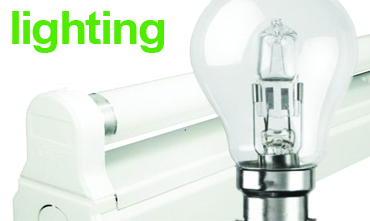 We install loft light pull switches, LED bulbs and tube lights. You can have as many bulbs or tubes as you like if one is not enough. 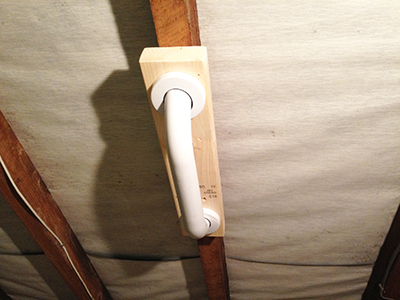 The most energy efficient way to light up your loft. If you need just a basic light in your loft just choose a bulb if you need more light (up to 10x more) then choose a tube light. FIRE & OVERHEAT PROTECTION! Older ceiling down lights can overheat and it has been known in some cases to cause a fire to some types of insulation in your loft. Even the new fire rated LED spot lights also need a box over the top of them. Fire rated down lights are essential for safety but it is important to remember that they still need lots of air both around and over them in order that they can dissipate the heat created from the lamps inside. The easiest but not so professional way to avoid a fire risk like this is to remove the insulation in this area. This is not a good idea as the insulation is there for a reason, to help insulate your home and conserve energy. Plus, it can get put back by accident by other people working in the loft who don't know why its been removed. 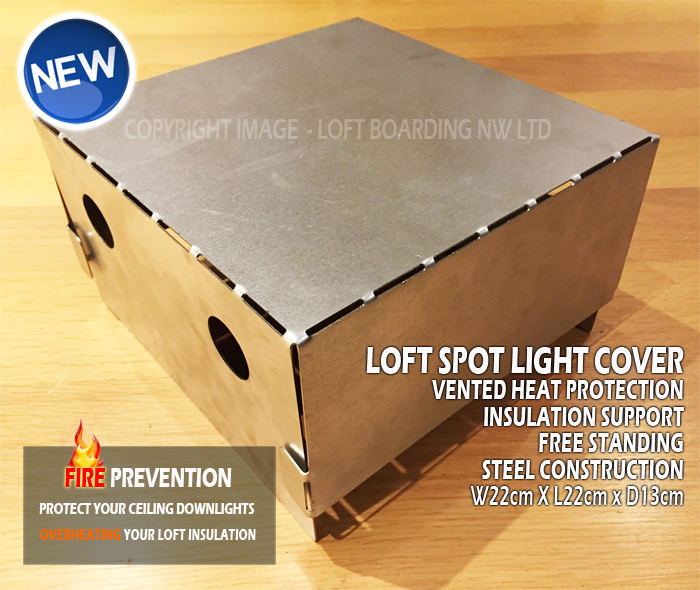 We can supply our very own metal box spot light covers which simply install over the spot lights in the loft so you can lay the insulation back over the top without any risk of heat affecting it. They are made of strong steel, vented for air circulation and are compatible with most type of new and old spot lights. SAVE! 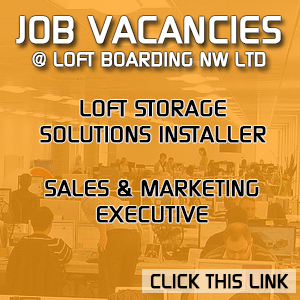 If you wish to have this service as part of your loft boarding package please let the surveyor know so he can include a discount for combined work. 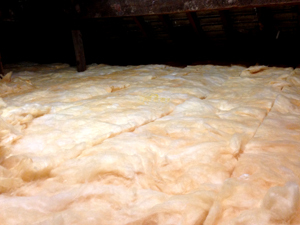 Why it's important to insulate your loft? 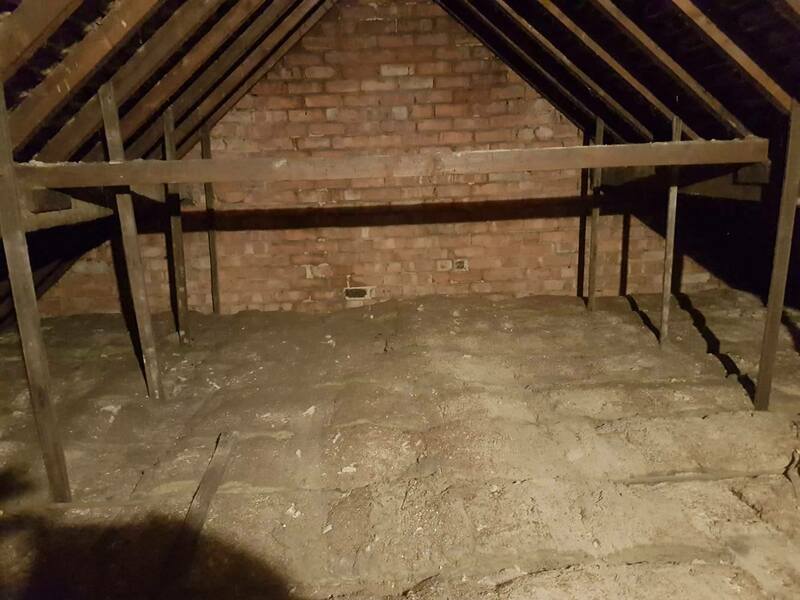 Most people know it is important to insulate your loft, because if you don't, 25% of your heating bills go out through your roof. The Government recommends that everyone insulates to a depth of 270mm if they use rolls of mineral wool insulation (this is the fluffy stuff you see in most DIY stores, and is the most cost-effective solution). It's cheap and relatively simple to do this, it will pay for itself rapidly, and it will help you to feel warmer in the winter and cooler at night in the summer. What will it cost if I can't get a grant or government deal? 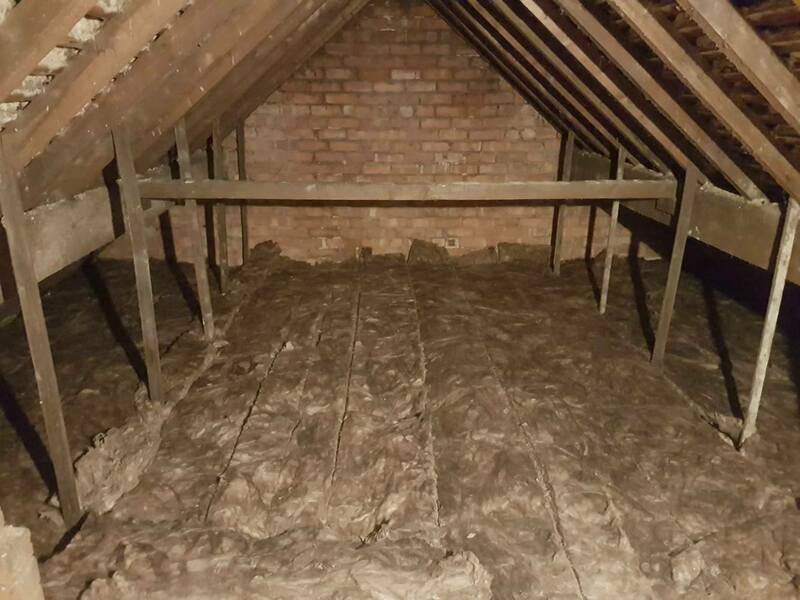 Its not expensive to insulate your loft and the money you can save over the next few years will more than pay for it, invest now start saving on your energy bills in the future. 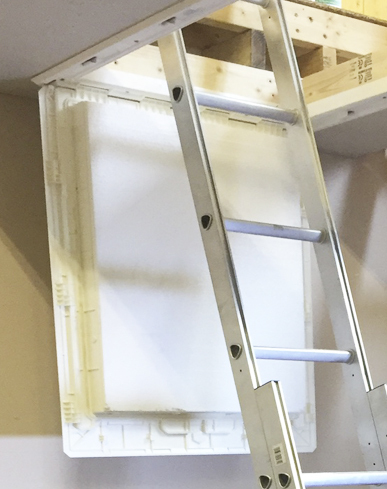 To avoid accidents by falling down a loft hatch we can install balustrades for around the loft hatch, grab rails to assist getting in to the loft and we can build a railing around the outside of the boarding to prevent anyone walking off the boarded area. We take loft safety very seriously, so if you feel you need a little extra something just to help you get in and out of the loft don't hesitate to ask. We can build almost anything out of wood so a simple wood rail or balustrade are not expensive. A grab rail is a great addition to any loft especially at the point at the top of the ladder where there is nothing else to hold on to. A simple grab rail will help you with your balance and make you feel a lot safer getting in and out. 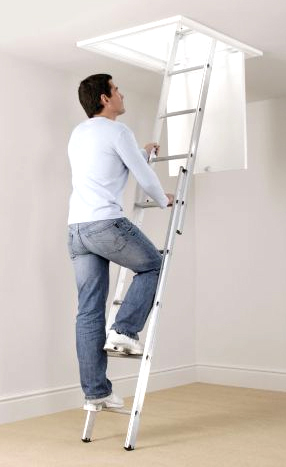 If it purely for storage, study, hobby or store room then we can offer a mini loft conversion or a luxury loft room. The gas man, the solar panel guy or any contractor who requires access to your loft can under new regulations, refuse to climb in a loft that isn't boarded or is not accessible or safe to work in. 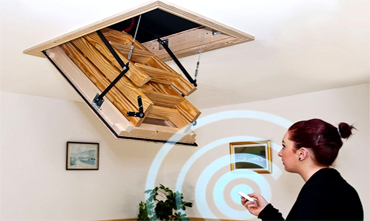 You need to provide safe loft access to any serviceable equipment fitted in your loft space. There must also be good lighting and a safe working platform and walk way in all areas to and around the equipment. 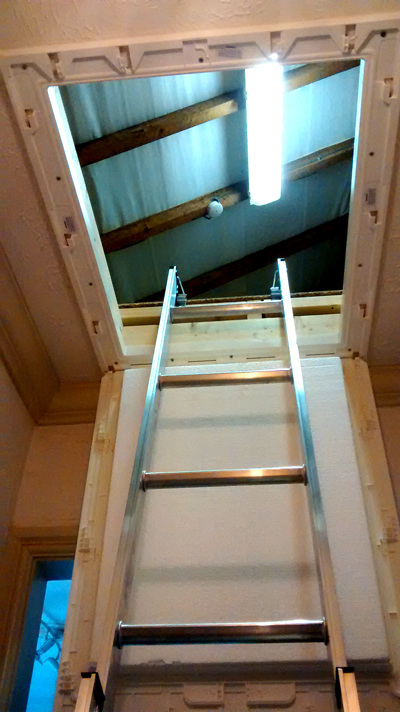 We can provide any type or shape of working platform access in your loft. 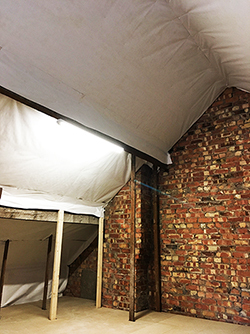 We can install a breathable membrane which is attached to your roof in layers to stop any debris, dust and SPIDERS falling down on you and your possessions. Old roofs that have not been re-roofed with felt or membrane are most prone to this as they still have the old mortar attached to them which is used to seal the slates to the battens. This can be a real problem with your stored items as it can endlessly keep falling down and covering your possessions in old mortar and dust. So to stop this we can fit a dust membrane in the boarded area above your things so as to protect them from this.